Crystal Clear Pool & Spa specializes in equipment diagnosis, repairs, upgrades, new equipment installations, automation and chemical alternatives. At Crystal Clear Pool & Spa, we place top priority on continuing education in the fields of water chemistry and treatment and the importance it plays in providing you with a safe and sanitary swimming environment. Proper water chemistry can keep your pool or spa’s surface looking its best and prolong its life, whether it be plaster, fiberglass, tile, pebbletek etc. We specialize in the startup of new plaster and can determine which procedure will be right for your new finish. We constantly stay on top of all new developments in this specialty field. Specializing in eliminating the toughest algae problems and can turn your problem pool into an inviting, algae free crystal clear oasis. You have many choices when it comes to the maintenance of your pool or spa, that is why customer service is so important to us. We aim to provide you with the best swimming environment possible. Call now to see if we cover your area 310-745-4775. Los Angeles County Health Department Certified. Is your equipment still under manufacturers warranty? We are an authorized warranty company for Pentair, Jandy & Raypak. Have home warranty insurance? Crystal Clear Pool & Spa is an authorized service provider for First American Home Buyers, American Home Shield, Fidelity National, among many others. As an authorized pentair intelliflo installer, all Intelliflo installations come with a 3 year full warranty. Call now for more information and your FREE energy analysis to see how the Intelliflo can save you money Both LADWP and Edison offer rebates for circulation pump replaced with an approved variable speed pump. When was the last time your pool heater had maintenance service? 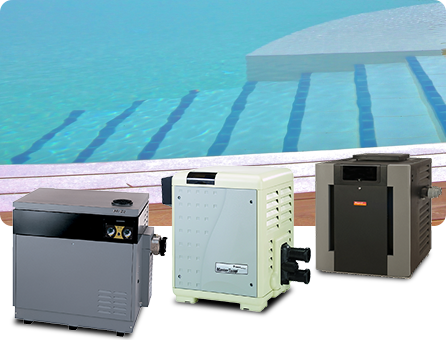 Heat your pool/spa faster, Increase overall efficiency, and Lower gas consumption. Fast, efficient, compact, quiet, safe and eco-friendly. 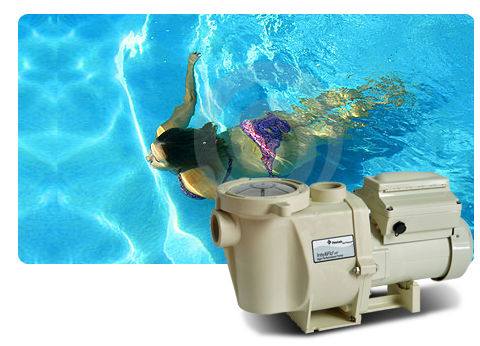 No matter what you’re seeking in your swimming pool heater, MasterTemp® measures up. Compare this list of features to any other and you’ll see why MasterTemp is setting a new standard for total value. Don’t be left out in the cold with heaters that don’t measure up to today’s longer list of must-have features. Control your pool or water feature with your iPhone or iPad. 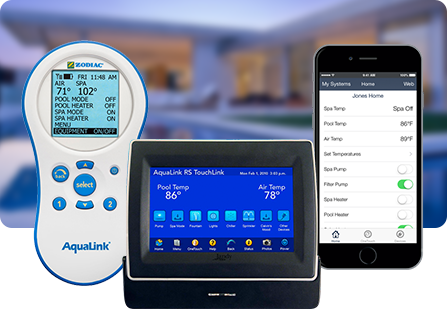 Get the latest in user-friendly, multi-functional pool and spa control options, and capture a larger share of the growing pool automation market, rely on IntelliTouch® systems with ScreenLogic® interfaces. No other technology package comes close in terms of ease of installation, ease of operation, options or capabilities. Typical single-speed pumps can consume as much energy as all your other home appliances combined. Why not replace that energy hog with an IntelliFlo® Variable Speed Pump? It uses up to 90% less energy than the typical single-speed pump—savings that translate directly into money in your pocket.